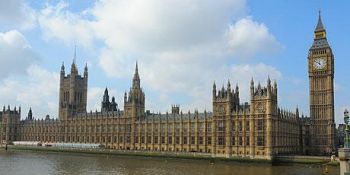 Unlike the approach of the Virgin Islands Party (VIP) Chairman, the ruling NDP has instead opted to submit unilateral submissions to the UK’s Parliamentary Select Committee on Foreign Affairs. As such, Hon Walwyn has since invited persons who would like to make independent submissions to do so through the government‘s website where a link has been created specifically to accommodate this inquiry. The NDP Chairman suggested too, “I would like to suggest that the feedback received through all public consultations be sent to the Foreign Affairs Committee through the Premier’s Office which will be a show of unity among the people of the Virgin Islands and will further demonstrate our believe in our 'One BVI' mantra." All consultations, no doubt include those prepared by the Opposition Leader. The NDP’s position to make its own unilateral submissions came only after Hon Fahie had already outlined his plans for Territory-wide consultations with the people of the VI. Hon Walywn now wants the Opposition Leader to incorporate his work, into whatever submission is to be made by the Premier’s Office to the UK Parliamentary Committee. The decision by the UK to review its relationship with its OTs has drawn mixed reactions from residents but there has been consensus on one aspect; the NDP does not hold the confidence of most in the Territory to handle the debacle. Opposition Leader, Hon Fahie after meeting with Premier Smith on August 14, 2018, had expressed similar sentiments. There is currently rising levels of confusion as to who is really in charge of the Territory since Dr Smith now shares responsibility with the recently elected Chairman—Honourable Walwyn. So is he calling it quits!!! Defeated??? Can someone, anybody please address the similar situation that is taking place here. Everyone wants to run for politics and no one wants to address the health concerns of our people. No one! If Fahie is all about country, the question is why would he want to something on his own to appear even more disjointed as an Overseas Territory. The UK is looking for anything they can use against us. If the Premier doesn't have the sense to call on him to have one joint submission then he needs to be the bigger person that he always claims to be and get the premier to use his points as part of the submission to UK. @Oh please. If Fahie had wanted to submit on his own, he would not have had consultations with members of the public through working groups. Myron is only coming forward after the fact. If Fahie had never brought this information to the public, a consultant would have submit documents to the UK on our behalf with absolutely no input from US. So you have to give Fahie credit for his effort. What part of you can submit on your own you don’t understand. Anybody can submit on there own. Go ahead give the premier yours and see if it reach hahahaha. Mr zzzz cannot be trusted. Is Dr. Hon Premier Daniel Orlando Smith (At L). MoF, calling it in? The Premier is still the leader of government and should be out front leading the effort to respond to the UK; the Hon Myron Walwyn (At L), MEC, is chairman of NDP. If the NDP is returned to power at the next general election, the Hon Walwyn will be both chairman of the NDP and Premier. Until that time, the Premier still needs to do the people business/wo4k. He must continue to be number#1 among equals. If no he needs to step down from the Premiership; he needs to call an election soonest. Kudos to the Hon Andrew A. Fahie (D-1), Leader of Opposition, for leadership in coordinating a response to the UK’s inquiry. Look like the Hon Walwyn just raised the white flag. I wonder if Fahie goes along with this , if the submissions he has received will ever reach the UK? Hell no. Do you think we will ever know what the Government submits to the UK? Hell no. Is Myron the Premier of the BVI? Hell no. Should he or the Government submit anything on behalf of the people without their approval? Hell no. Myrun right now the only places you can lead is Moorings and what’s left of the NDP party so check your role please. @A couple question, you sound like a real moran.